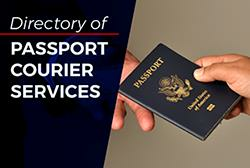 Fastport Passport is a New York-based passport expediting courier service that assists individuals and corporate clients nationwide to expedite their United States passports. They have been in operation since 2003 and have processing locations in New York City and Delray Beach. Fastport Passport also has representatives in California, Colorado, Massachusetts and Texas. My passport expired, so my wife and kids went to Mexico without me. A Fastport rep met me over the weekend, had my passport application in at 7am on Monday and a new passport delivered before 5pm. My Congressman can not get it done faster. This company has the best service imaginable!" We used Fastport Passport to renew or passports for an unexpected trip to Italy. All the details were taken care quickly and when I called for an update (to ease my mind) they responded promptly." 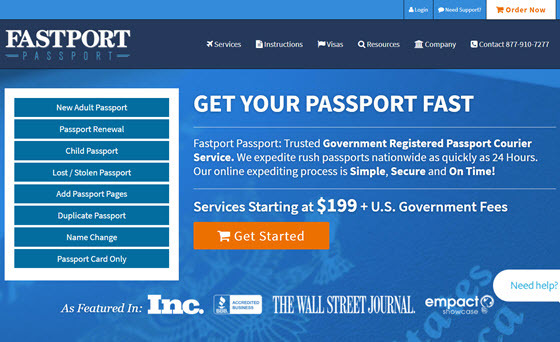 Fastport Passport allows you to apply for expedited passports online in 3 easy steps. In Step 1, you will decide which service you need and how quickly you want your travel document expedited. In Step 2, you complete the online application form with your travel itinerary, name, address, delivery option and payment details. It only takes about 2 minutes to complete the online form. 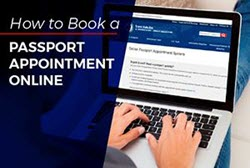 After clicking to process the order, you will be redirected to an instructional page which details the documents you need to send to Fastport Passport. Step 3 is where you send the packet via FedEx, UPS, USPS or hand deliver it to the Fastport Passport office if you live in the same city. In just 3 quick, easy steps that take only a few minutes, you can apply for express passport service online. 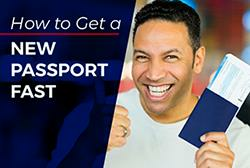 Fastport Passport makes it easy. Besides expedited passport processing, Fastport offers expedited visa courier service to top destinations such as Australia, Brazil, China, India, Russia and many others. They also process international driving permits.